Who is Jeremy Hammond and what did he do? What was Jeremy Hammond's involvement with Anonymous? What has the official reaction to Anonymous been like? What actions have been taken against Jeremy Hammond and other Anonymous associates? How was the case against Jeremy Hammond built? Why was Jeremy refused bail? Why was the judge in Jeremy's case asked to recuse herself? Why did Jeremy Hammond make a non-cooperating plea deal? What is happening to Jeremy Hammond now? Why was Jeremy transferred to a new prison? What are the problems with CFAA? What other cases have been charged under CFAA? What can I do to support Jeremy Hammond? What is The Courage Foundation and who runs it? 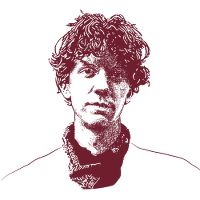 Jeremy Hammond is a member of the hacktivist network Anonymous and a gifted computer programmer whose case has attracted the attention of activists, civil libertarians and those concerned about the rights of whistleblowers. He is currently spending a decade in prison for allegedly disclosing information about the private intelligence firm Strategic Forecasting, Inc. (Stratfor), revealing that they had been spying on human rights defenders at the behest of corporations and governments. WikiLeaks later published these files in partnership with 29 media organisations worldwide. Documents allegedly revealed by Jeremy Hammond have been reported on worldwide since 23 June 2011, when Lulzsec announced the release of a cache of documents from the Arizona Department of Public Security. These documents show widespread racial discrimination within law enforcement. A second group of documents, from the private intelligence company Stratfor, was published by WikiLeaks in collaboration with 29 international media partners as the Global Intelligence Files in February 2012. The Stratfor emails reveal the intricate and troubling relationship between unregulated private corporations and government agencies involved in security and intelligence. Among the continuing revelations are that firms like Stratfor actively market their services in marginalising civil society campaigns and that major multinational corporations like Coca-Cola and Dow Chemical are willing to pay private intelligence firms like Stratfor to spy on activists. To read more about the Arizona and Stratfor documents, see our Revelations page. What was Jeremy Hammond’s involvement with Anonymous? Anonymous is a loose international network of activists, writers, coders, artists and others who largely coordinate and execute their activities online. The actions of Anonymous and associated groups like Lulzsec achieved increasing mainstream visibility from late 2010 onwards. While tactics like distributed denial of service (DDOS) attacks, website defacements and the seizure and publication of corporate email spools dominated mainstream attention, the changing focus of many of those associated with Anonymous was just as important. Online activists began to take a greater interest in law enforcement, state and corporate surveillance and the private intelligence industry. Jeremy Hammond has admitted his involvement in two of the major actions of this period, the exposure of documents from the Arizona Department of Public Safety and the Texas-based private intelligence company, Stratfor. For a fuller account of Anonymous’ development during this period, read here; further detail on the documents Jeremy was allegedly involved in disclosing is available on our Revelations page. The determination to arrest Jeremy Hammond was just one dimension of the heightened perception of Anonymous as a threat worthy of attention at the highest levels. Read more. In March 2012 Jeremy was arrested in his Chicago home and charged with violations of the Computer Fraud and Abuse Act (CFAA), the United States’ outdated and draconian computer crime law. Of Jeremy’s co-defendants in the UK and Ireland, arrested on the same day, two were not prosecuted at all and the longest sentence served was for less time than Jeremy Hammond spent incarcerated while awaiting trial. A number of activists associated with Anonymous and related groups have been charged under the CFAA and cases are ongoing. Read more here and here. The case against Jeremy Hammond, and cases against others associated with Anonymous, relied heavily on the cooperation of FBI informant Hector Xavier Monsegur, also known as Sabu. Monsegur, one of the most prominent members of Lulzsec, was arrested on 7 June 2011, but the fact of his arrest was to stay secret for the next eight months, while he proactively assisted the authorities. What prosecutors called Monsegur’s “truly extraordinary” cooperation with the FBI included encouraging followers of his Twitter feed to participate in a new AntiSec campaign and engaging in what, in hindsight, looks like entrapment; betraying former comrades while instigating many of the attacks they would later be charged with. Read more. Jeremy was placed in solitary confinement at the Metropolitan Correctional Center in New York City, and waited for more than a year in jail to start trial. Detention severely hampered Jeremy’s ability to prepare for his trial with counsel. Jeremy was denied access to his discovery by the prison, logging only 11 hours of access to the laptop which contained the relevant files between 13 February 2013 and 10 April 2013. Read more. Why was the judge in Jeremy’s case asked to recuse herself? In November 2012, information emerged that Judge Preska’s husband Thomas Kavaler had his personal data revealed in the Stratfor release. The defence moved to recuse Judge Preska on conflict-of-interest grounds, and legal scholars supported that motion. National Lawyer Guild executive director Heidi Boghosian said, “If Judge Preska stays on this case it goes against everything she is sworn to do as chief judge and degrades the integrity of the court.” However, the decision was Preska’s, and she refused. Read more. Originally facing a sentence totaling more than 35 years, Jeremy pleaded guilty to a single count of conspiracy under the Computer Fraud and Abuse Act (CFAA) in a non-cooperating plea deal. Jeremy released a public statement to explain his decision. Despite lodging nearly 265 letters of support calling on judge Loretta Preska to show leniency, on 15 November 2013 Jeremy was sentenced to ten years in federal prison – the maximum allowed under his plea agreement. Since his arrest, Jeremy has been denied bail, cut off from his family and held in solitary confinement– treatment normally reserved for the most egregious offences. He did nothing for personal gain and everything in hope of making the world a better place, and he needs our support now more than ever. Find out how to send Jeremy books, letters and articles here. Jeremy requested to move from FCI Manchester in Kentucky to FCI Milan in Michigan in order to participate in “RDAP” – the Residential Drug Abuse Program. RDAP is an intensive, nine-month long program offered to federal inmates who have a documented history of drug use prior to their arrest. Since Jeremy was an admitted marijuana smoker, he applied and was accepted into the program. While the program is intensive, and Jeremy has described it as “hard time”, Jeremy will be eligible to receive up to twelve months off his sentence upon successful completion of the program, which would mean he’d be released in February 2020. In December of 2018, Jeremy was once again transferred as the result of a bogus charge of “assaulting a guard” for accidentally bumping a guard with a door as he was exiting his unit. In his non-cooperating plea deal, Jeremy Hammond pled guilty to one violation of the Computer Fraud and Abuse Act. The CFAA, enacted in 1986, is the primary US law dealing with computer crime, even though it was written for the pre-internet age. The CFAA is a blunt legal instrument whose flexibility gives great power to prosecutors. The meaning of the CFAA’s provisions has changed significantly since it was originally brought into force and, by criminalising violations of terms of service agreements, it effectively allows corporations to determine what should be a criminal offence and what damages should be applied. Partly as a result of this, when compared to the comparable laws in other jurisdictions, the penalties mandated for CFAA violations are grossly disproportionate. Prosecutors can put enormous pressure on defendants to accept plea deals, but the way punishment is determined under CFAA makes no allowance for intent. Not only have recent cases seen the CFAA applied to acts of online activism, the law has also been used against security researchers and others whose actions would not be considered crimes outside of the United States. The death of Aaron Swartz in early 2013 gave renewed impetus to attempts to change the CFAA. Read more about the law and ongoing reform efforts here. Along with the Espionage Act, the CFAA is a favoured tool of the Obama Administration in its crack down on whistleblowers and digital activists. In addition to Jeremy Hammond, the CFAA has been used to prosecute the PayPal 14, Chelsea Manning, Barrett Brown, Thomas Drake and Aaron Swartz. Read more about how CFAA has been used in Anonymous-related cases and how you can support these and other campaigns here. Jeremy Hammond needs our continued support. He needs funds for commissary, but he also needs broader help: since March 2012, Jeremy has been cut off from his friends and family, and punished with extensive stays in solitary confinement – treatment normally reserved for the most egregious offences. His defence team needs financial support to continue advocating on his behalf, monitoring his condition and fighting for his rights while in prison. Donating is the easiest, fastest, and most tangible way you can support Jeremy now: click here to donate. There is a lot of down time in prison – especially for Jeremy, whose communication with the outside world is severely restricted. We have asked Jeremy what would help him pass the time and have received one overwhelming response: books. Find out how to send Jeremy books, letters and articles here. Look at our Take action! section for Five easy actions you can do to support Jeremy Hammond and the campaigns he cares about. Courage is a trust, audited by accountants Derek Rothera & Company in the UK, for the purpose of providing legal defence and campaign aid to journalistic sources. It is overseen by an unrenumerated committee of trustees. Jeremy Hammond is the trust’s second beneficiary. The terms of the fund and its trustees can be obtained from Derek Rothera & Company. The site is commissioned by the trustees of Courage to provide information on the threats Jeremy Hammond faces, the information he disclosed, and what you can do to support him.